Included: Student handbook, Field notebook, evening lectures and field instruction. Not Included: Transportation to field location, transceivers, shovels, probes or touring equipment. A detailed equipment list will be sent to all participants. Book Online Now! Buy a Gift Certificate! 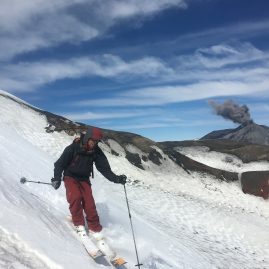 (American Institute for Avalanche Research and Education) Level 1 Avalanche Safety Courses teach back country travel with a clear understanding of the current avalanche hazards and communication. Our Instructors continue with lessons in terrain selection, travel techniques, basic field based decision making processes, and make sure everyone leaves the course with the companion rescue techniques required to recover your partner. 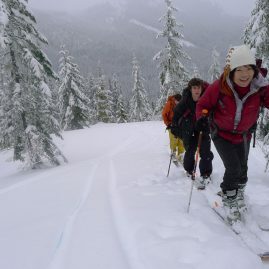 Save money, time, and fuel by joining Part 2 of our L1 Backcountry Education-Level 1-Intro to Touring combo and enjoy the convenience of Snoqualmie Pass and the deep snowpack of Mt Baker for $575 over two weekends! 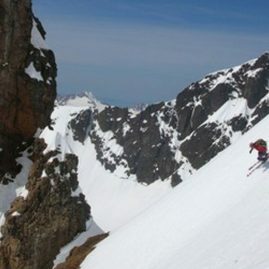 This course is designed for all types of backcountry travelers, snowshoers, backcountry skiers, snowboarders, and mountaineers. Lecture Sessions Topics Include: Snowpack, Avalanche Phenomenon, Terrain Analysis, Stability Evaluation, Avalanche Hazard Ratings, Human Factors And Risk Assessment, Decision Making. 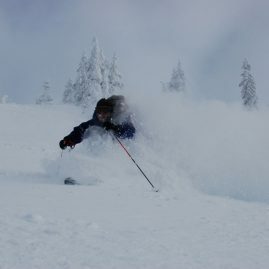 @Snoqualmie Pass or (Low Snow)@Mt Baker Ski Area. Arrive 8:00 am and get ready for the day. Meet at 8:30am, perform a gear check, do introductions, and then start our program. 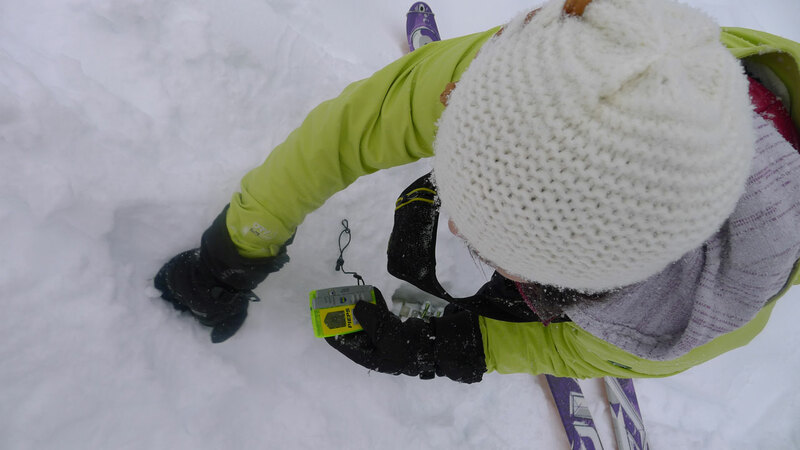 We learn how to use the gear efficiently including learning more about transceivers, probes and shovels. 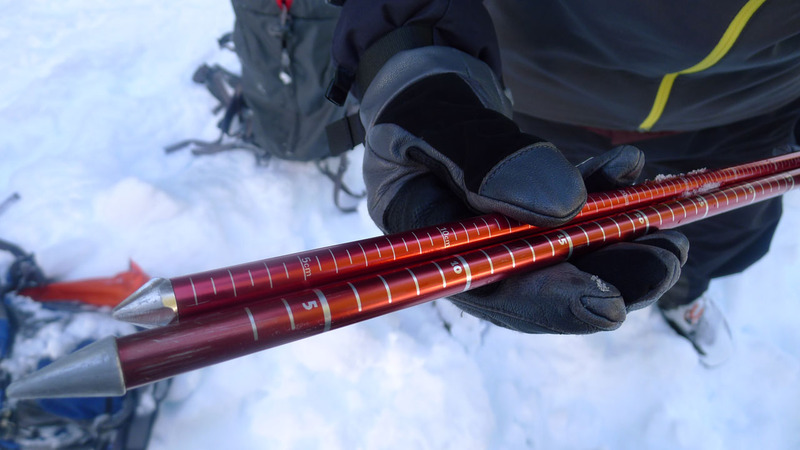 We will practice self-rescue and Companion rescue and take a closer look at the snowpack by digging a test profile to find any slabs. 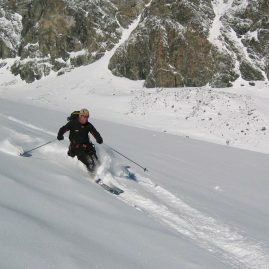 We continue our education by focusing on Terrain Management, Track Setting, and more advanced transceiver techniques. We bring all the skills together and move into Tour Planning, Map And Compass Navigation. 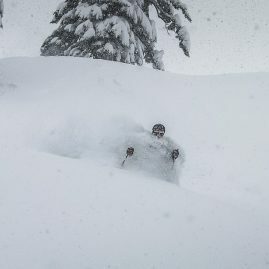 Optional 2-Day Intro to Backcountry Touring Extension: “Putting it All Together” add a weekend and develop tour plans and apply appropriate travel techniques. Participants will test their judgment on a full day tour under the instructors’ guidance. Additional practice with skinning, track setting and route finding as well. Yes, we rent Beacons, Shovels, Probes and Packs here(https://www.bcadventureguides.com/links/rentals ). 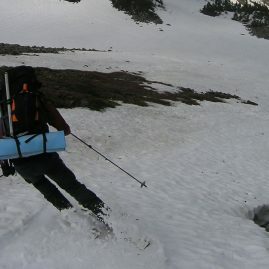 If you need these plus touring equipment, Second Ascent rents avalanche safety equipment, alpine touring, tele and split boards(http://secondascent.com/pages/rent-by-sport), Quantities are limited so please contact us as soon as possible if you are interested.